My son has been bugging me to get him a Pebble smartwatch. To be fair, I've been trying to get him to wear a watch to no avail, and I've left him at it since. It takes a smartwatch for him to change his mind. 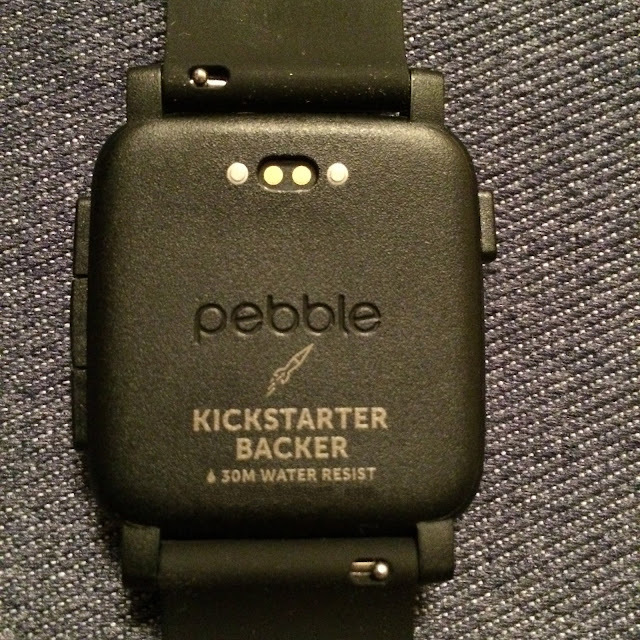 He initially wanted the Original Pebble, with a black and white ePaper screen. He sent me a link to get it online. He also told me that he has seen a store in Midvalley advertising it the last time he was there with his grandma. So off we went to Midvalley after church to check it out. We found it in Rhapsody Time, LG floor. 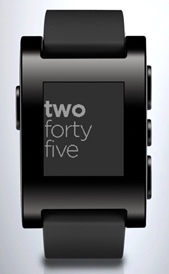 But they do not have the Original Pebble. 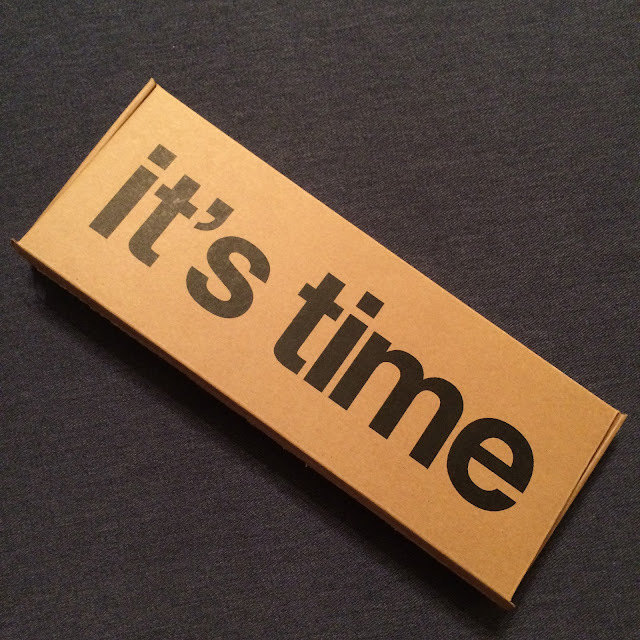 They only have the latest model launched just a few months ago in May - the Pebble Time. My son then changed his mind and wanted this one with a colour ePaper screen instead. 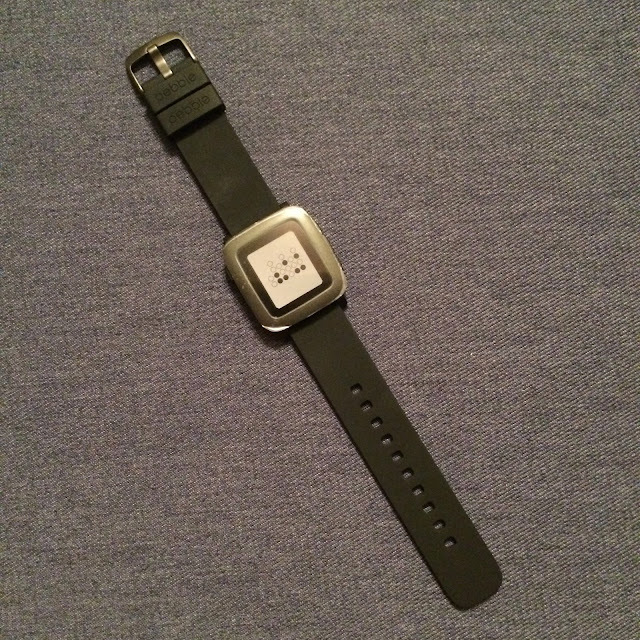 The Pebble watch was first released in 2013, backed by the crowdfunding platform Kickstarter. 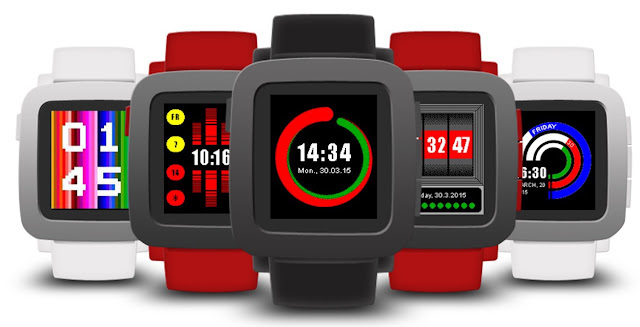 When it started a Kickstarter fund sourcing for Pebble Time, it hit its $500,000 target in just 17 minutes. It finally achieved a fund of $20 million in total. My hubby is a watch aficionado himself and he is open to the purchase of a Pebble Time. And I am a gadgety person warming towards it, which is good news for our son. There are three colours to choose from: black, white and red. But black looks best, always. And he finally gets his binary watch, as below. He has been bugging his father to actually make him one. We then found out that we actually bought a limited Kickstarter Backer edition. At first, we thought the price was a little higher than what we researched online but decided to still get it anyway so we don't have to wait for its delivery. Knowing now that the premium price we paid is for a limited edition, we are pleased. It's amusing that the shop assistant did not know what Kickstarter Backer means. I would have gotten one for myself too except that I have just now discovered that with my recent onset of presbyopia, I cannot see anything worn on my wrist, and it will be pointless to get my glasses everytime I need to look at my watch. So I will remain watchless.